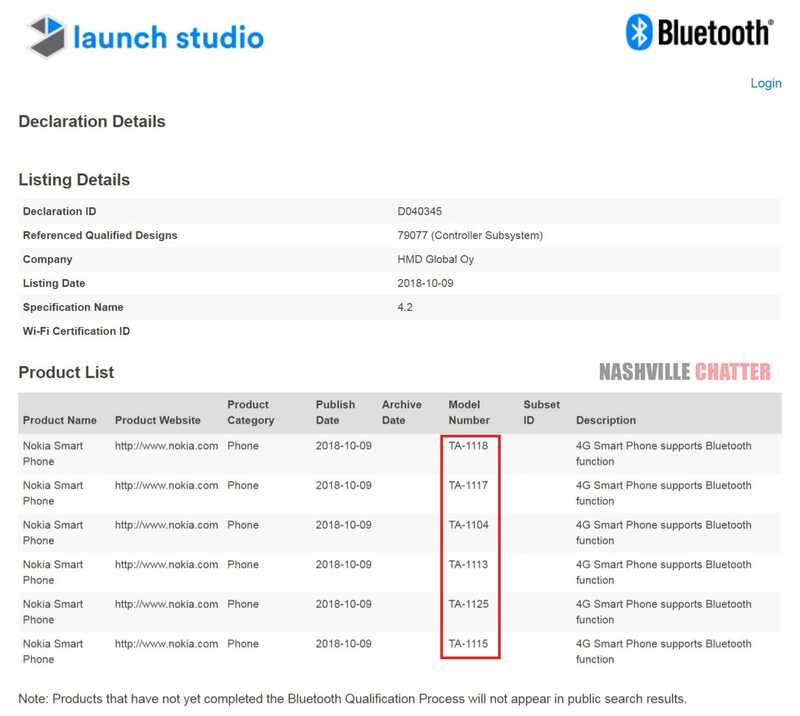 Multiple variants of the Nokia 7.1 Plus such as TA-1118, TA-1117, TA-1104, TA-1113, TA-1125 and TA-1115 have received approval from Bluetooth SIG. The TA-1115 and TA-1113 model numbers were spotted earlier through Federal Communications Commission (FCC) certification of the Nokia 7.1 Plus. HMD Global has recently launched the Nokia 7.1 smartphone and it has now started teasing on the arrival of the 7.1 Plus. The Bluetooth SIG approval of the Nokia 7.1 Plus variants seems to have happened just ahead of its launch. Like the other Plus models from HMD Global, the Nokia 7.1 Plus is expected to feature a notched display and is likely to be called as Nokia X7 in China. Rumors have it that it will be arriving with a 6.18-inch IPS LCD screen that will carry support for Full HD+ resolution and an aspect ratio of 19:9. The Snapdragon 710 chipset is expected to power the Nokia 7.1 Plus. The base model of the phone is rumored to feature 4 GB of RAM and an internal storage of 64 GB. The higher model may come equipped with 6 GB of RAM and an inbuilt storage of 128 GB. The handset is expected to feature ZEISS branded dual camera setup. The exact launch date of the Nokia 7.1 Plus smartphone is not known. HMD Global will be holding a launch event in India on Oct. 11. It is speculated that the Nokia 7.1 and 7.1 Plus will be both showcased at the same event.